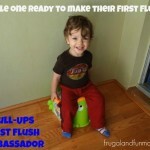 About a month ago, I shared that I was Taking My 3rd Potty Training Adventure as a Pull-Ups First Flush Ambassador and was starting the process of preparing my youngest for this journey. Since then my husband and I have been talking to our little one about where to go the bathroom (AKA where the poop and the pee go), letting him flush the toilet, and also doing the “Potty Dance”. 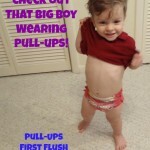 In the meantime, I also received a package with Pull-Ups for Boys. This was an exciting day because Little Man started using his “Big Boy Pants”. 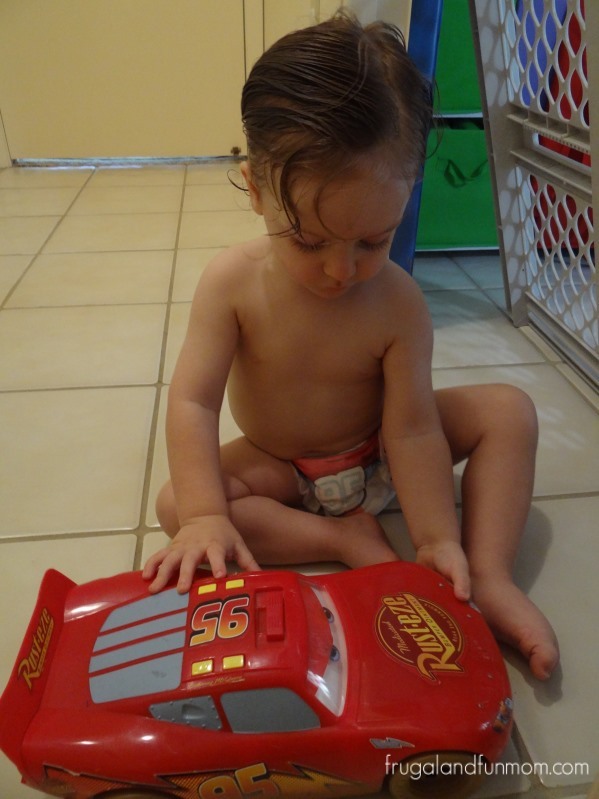 What was really awesome is, they feature one of his favorite Vroom Vroom toys, Lightening McQueen. He was eager to put them on, and I have been letting him wear them around the house. This was a seamless transition, and he just went right back to his usual daily activities and play time. 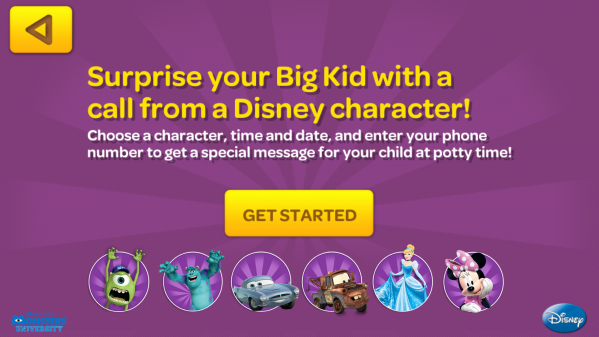 One thing that is new for me is “potty training round” is the FREE Big Kid App now called the Time To Potty App. Available for Apple and Android smart phones this app offers rewards, videos & songs, and a Big Kid checklist to help with the nighttime routine. 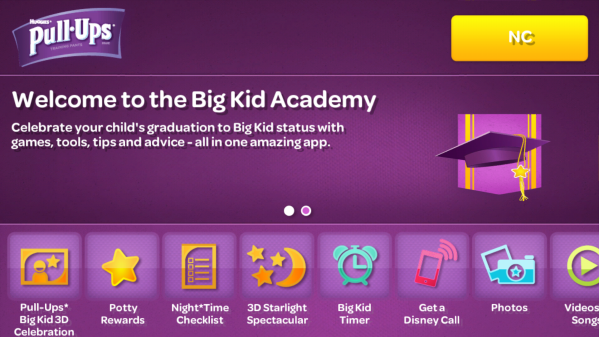 FYI, if you would rather use a PC, the Big Kid Academy is also available with tools to aid in Potty Training. We are still navigating our way through this App but one of the neat things I like is the FREE Disney Character Call. I tried this out last night, and since my guy is a fan of Mickey Mouse Clubhouse I selected a call from Minnie. The expressions on all of my children’s faces were priceless, and my daughter asked, “Was that really Minnie Mouse?”. So far things are going well, and Little Man seems to be catching on to the concept. 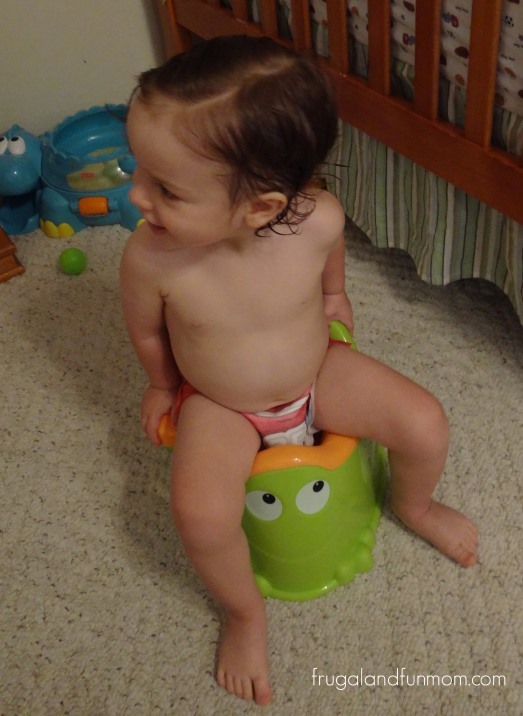 He has been sitting on the potty with his “Big Boy Pants” and even goes to grab one when it is time for a changing. In addition, when I see him going to the bathroom, I help him associate this with potty by putting him on it as he is going in the Pull-Up. I don’t expect my youngest to take to Potty Training immediately, however I intend to make this a fun and stress free experience in hopes that the process is a success. What routines or rituals have you practiced to make potty training fun and rewarding for your little one? What were some of the obstacles you encountered as you were going through this process. To learn more about Pull-Ups visit them online at the Pull-Ups website and also visit them at their Facebook page and Twitter page. 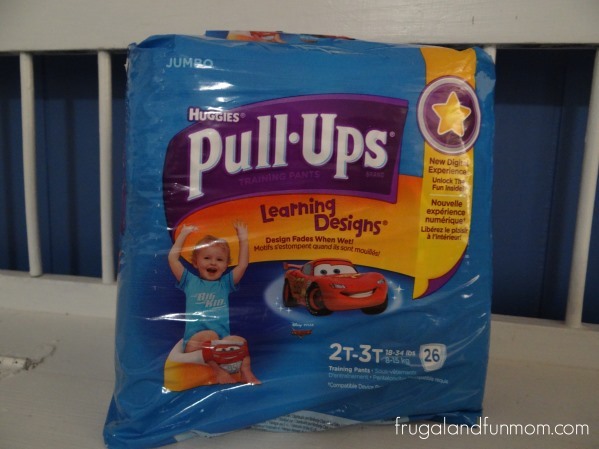 Pull-Ups Potty Dance Day House Party. What a Blast! Character calls? That would have been awesome when my kids were training. How cute! I need to share this with my sister who is trying to train her 2 year old! I need to download the potty training app. My youngest son still doesn't like using the potty, he will go sometimes when I ask him but he won't come tell me that he needs to go potty. So cute, what a big boy! 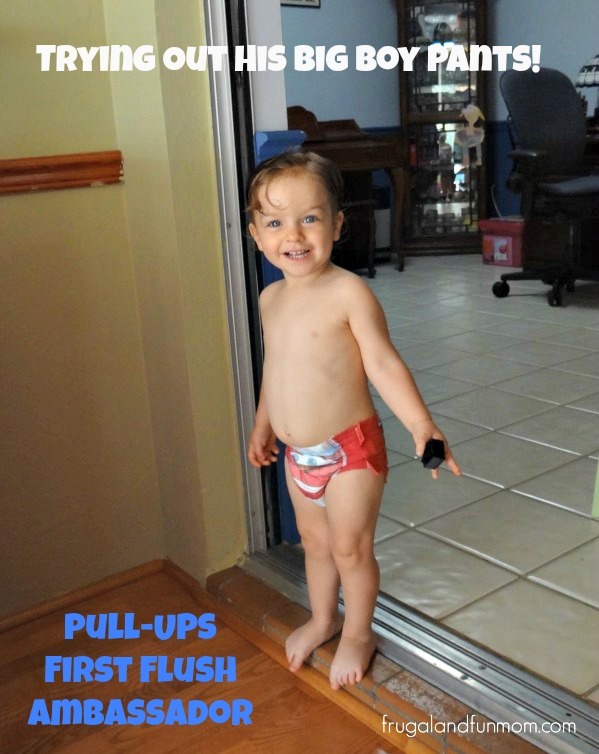 We used pull ups during the potty training process and loved them. We are starting potty training right now as well. I love that there is a potty training app. My daughter loves learning apps & this is one that could help mommy & daddy as well. Thanks for the tip. I am looking into this right now. Wow?! A potty training app? Things would have been different if this was around when my daughter was younger. If these were around for my son, we would have avoided a ton of angst. He was so challenging to get into training. The app is the cherry on top. I love all the different designs that are available on Pull ups. Back in the day they were pretty plain. Wish I had a few good potty training tips to share, but it's been so long I've forgotten everything we tried. Good luck! Definitely helpful when potty training, too many accidents without them! That app was so much fun - we used it! I think it's great that your experience is stress-free and slow. My son is now potty trained, but we also used Pull-Ups and the Froggie Potty that you have. I am helping a friend to potty train her son, so your post and this app are perfect timing. Character Calls?! What a cool thing. My boys would have flipped for that! When one was trained and the other was not we called them Captain Underpants and Pull-Up Boy! he looks thrilled :) good luck! We've always been big fans of Pullups!! I had no idea about the phone call from a Disney character though....that's awesome!! We use the M&M trick. Go successfully without making a mess and you win one M&M. You'd be surprised how fast they learned!